Michael Jeffrey Jordan is a former professional American Basketball player known for his near-perfect slam-dunks and strong defense. He was nicknamed Air Jordan for his slam-dunks delivered from free throw line. Jordan played at 15 seasons of National Basketball Association (NBA) of USA. During his career he has represented Chicago Bulls and Washington Wizards. For the maximum length of his career, Jordan played for the Bulls and played only briefly for the Wizards. Michael also holds controlling interests in American professional basketball team Charlotte Hornets. Jordan has the career playoff score average of 33.45, which is a record. 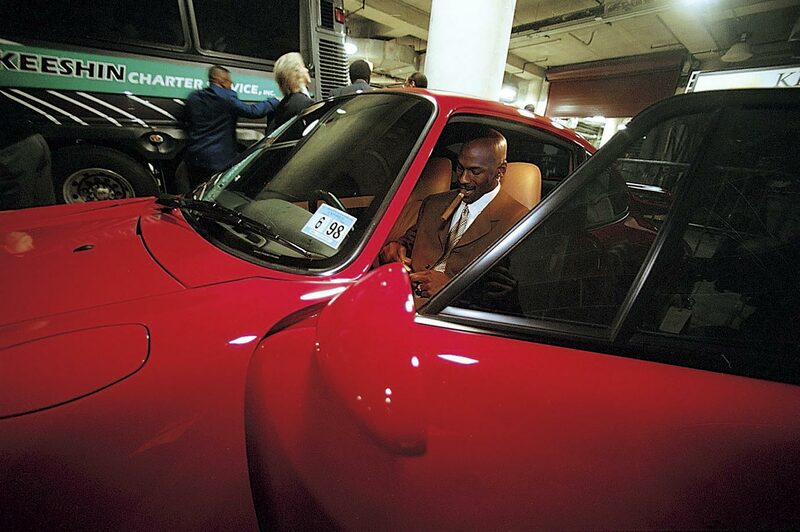 Jordan is claimed to be the first billionaire NBA player and is the third richest African-American. Michael Jordan was born on February 17, 1963 in Brooklyn, New York. Michael's father James R. Jordan Sr., was an equipment supervisor and mother Deloris was a banker. Michael has 4 siblings: two brothers and two sisters. Jordan's older brother James is a U.S. Army veteran. 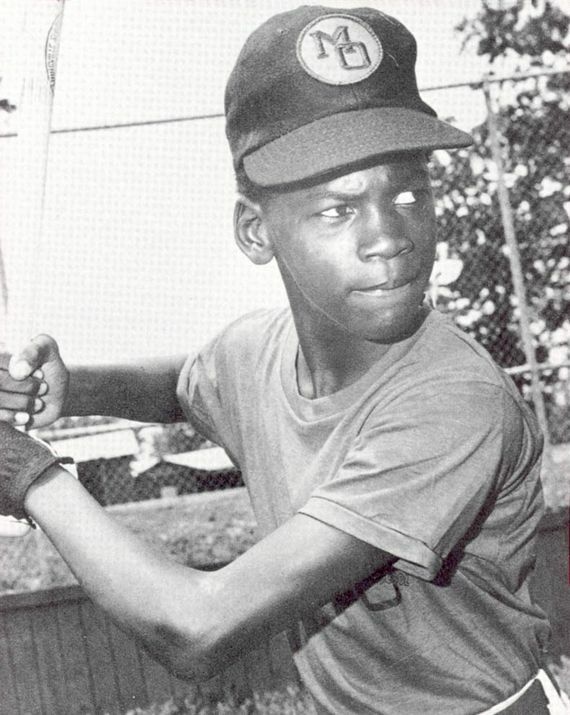 When Michael Jordan was at school, he used to play baseball and football along with Basketball. He soon set his eye on basketball and was made a part of the school's junior varsity team. He scored a 40-point game in the beginning and scored 20 points on average in every game. During the college years, he was named Freshman of the Year. At the 1982 NCAA Championship, he won the game by making a jump-shot, against Georgetown. This, according to Jordan, was a turning point for his career. Jordan left college to join the NBA. He was picked by Chicago Bulls in 1984, during a draft, where teams take turns selecting from a pool of eligible players. In his first season at the NBA, Michael Jordan earned an average of 29.2 points per game, thus becoming a favorite among the audience. He also featured on cover of sports magazine 'Sports Illustrated'. 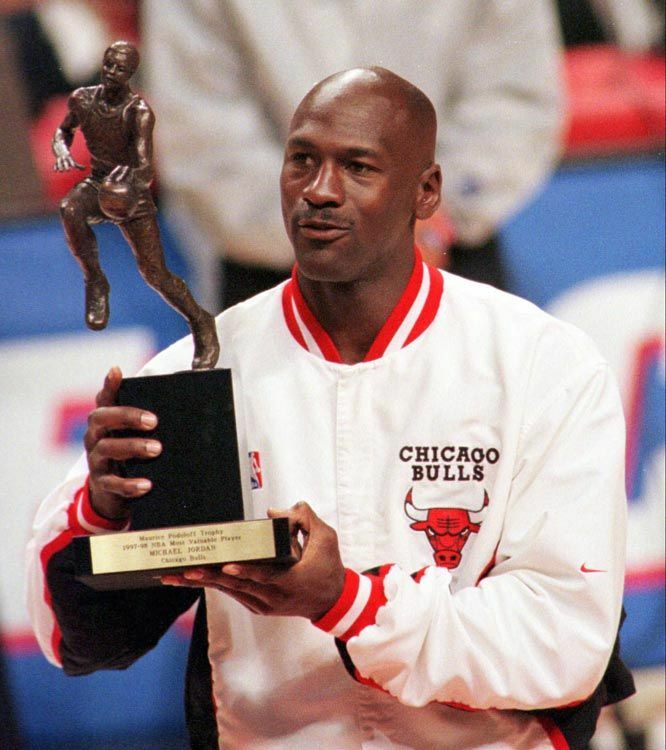 Though, the Bulls were dismissed in the first round of the playoffs, Jordan was named 'Rookie of the Year'. Jordan missed most part of the seconds season when he injured his foot. Upon his recovery, he scored a record 63 points against The Celtics. During the 1988-89 season, Michael Jordan averaged 37.1 ppg (points per game) on 48.2% shooting and earned more than 3000 points in the season. His defensive skills started to show by this time when he delivered almost 100 blocked shots and more than 200 steals. Michael Jordan was given Most Valuable Player Award and Defensive Player of the Year for 1987-88 season, where he scored an average of 35 ppm. The Bulls cleared the first round of playoffs and defeated Cleveland Cavaliers as well. Then during the next season of 1988-89, Jordan scored an average 32.5 ppg and made average 8 assists per game. Bulls were able to beat Cleveland Cavalier again, along with New York Knicks. The season's high point was Jordan's game-winning shot, when he jumped over Cavalier's Craig Ehlo and scored a basket. The Bulls were beaten by Detroit Pistons. In the next season, as well, the Bulls were defeated by the Pistons. Some game critics believed that Pistons won every season as they were able to guard Jordan. As Michael Jordan fared better with every season, the Chicago Bulls were making unparalleled advances. The Bulls were able to reach the finals of the 1990-91 season, for the first time in team's history. They even managed to beat arch-rivals Detroit Pistons. In the finals, Bulls defeated Los Angeles Lakers and grabbed the trophy. Michael scored an average of 31.2 points on 56% shooting and was named the Most Valuable Player (finals). Continuing their winning streak, The Bulls made good advances in the 1991-92 season and won the 1992-93 season, where Jordan averaged 41 points in six game series. 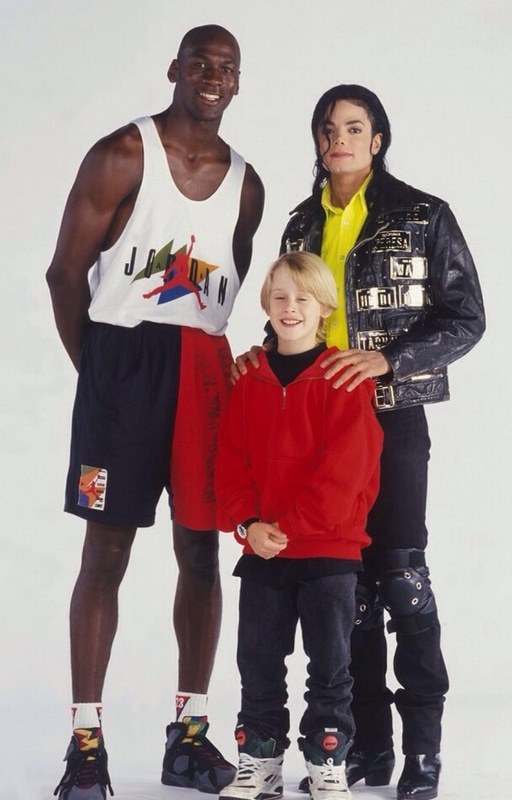 Following his father's sudden demise Michael Jordan announced his retirement from Basketball on October 6, 1993. 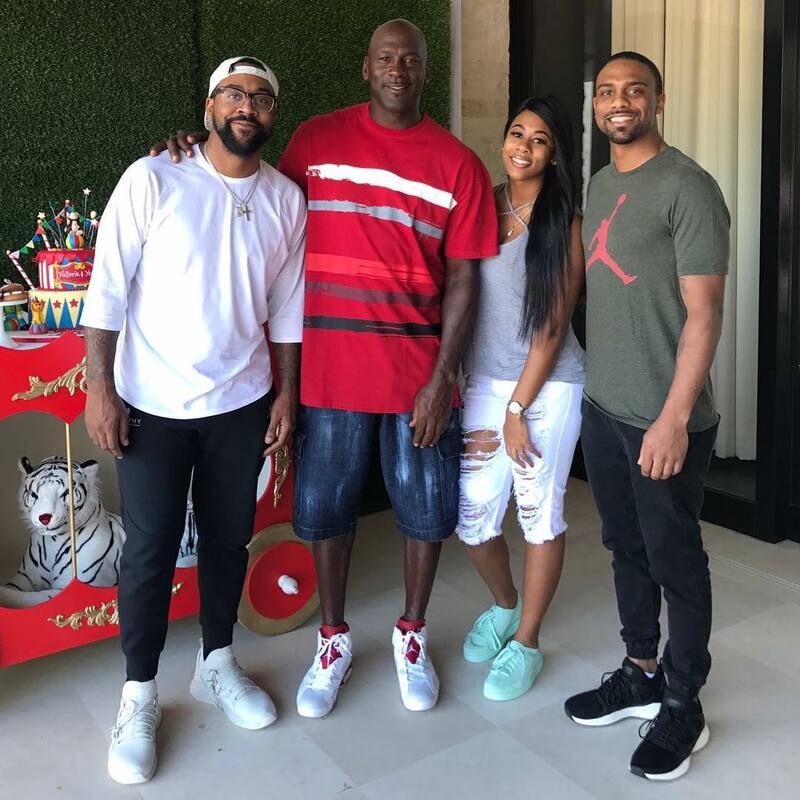 Jordan is also said to have lost taste to the game and later joined minor league baseball by signing a contract with Chicago White Sox. During his short stint, Jordan played for Birmingham Barons and Scottsdale Scorpions and scored three home-runs. Michael Jordan returned to basketball during the 1993–94 season, rejoined Chicago Bulls again and played moderately well that season. He trained rigorously for the next season. The Bulls, thrilled with Jordan's comeback started the season with tally of 41–3 and eventually winning the season. Jordan won his fourth Most Valuable Player award. 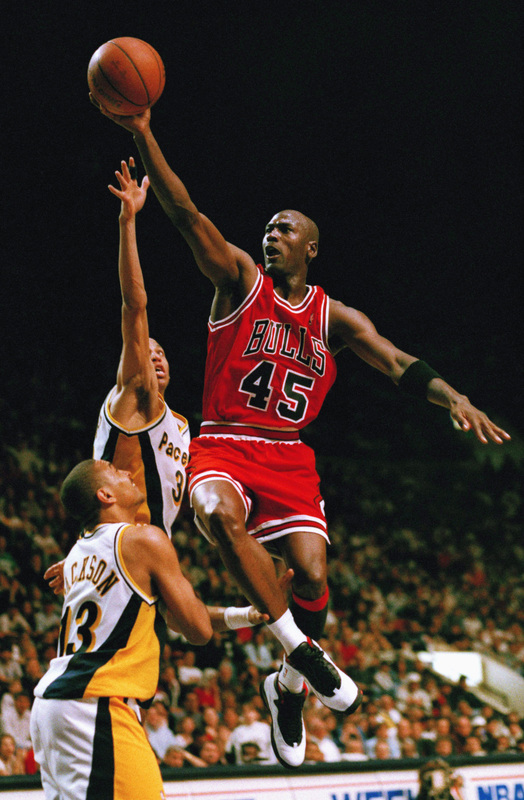 At the 1996-97 season, Jordan made a buzzer-beating jump shot and in the famous Flu-game of his, he scored 38 points. He bagged the Most Valuable Player award for fifth time. Jordan continued to do well, in the consecutive seasons. 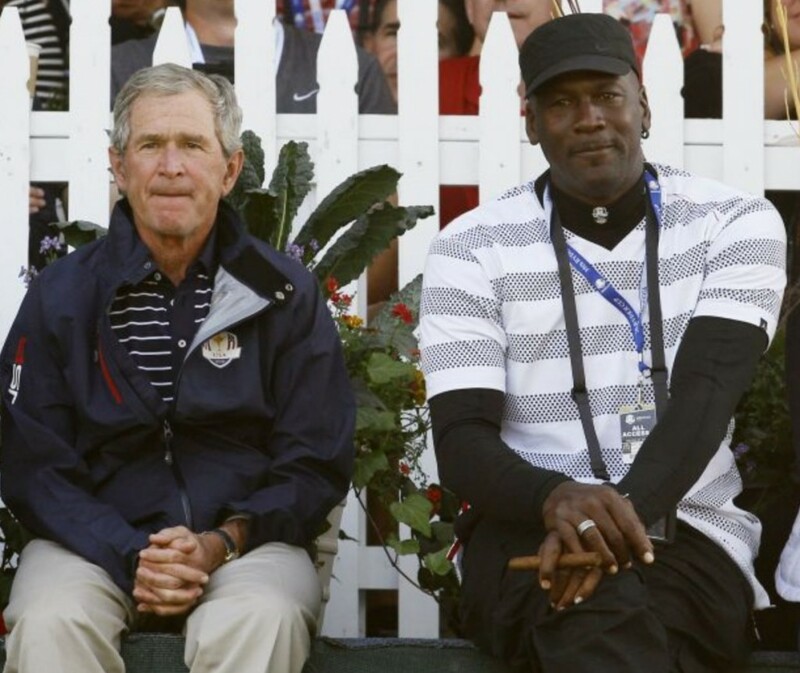 Michael Jordan retired, yet again, from professional basketball in January 1999 and became President of Basketball Operations for Washington Wizards in January 2000. Later in September 2001, Jordan returned to the court and played for his team Washington Wizards, however an injury to the cartilage allowed him to play only 60 games in the ongoing season. Jordan decided to retire from the game once and for all, in 2003 and played his final NBA game in April 2003 in Philadelphia. Jordan scored 13 points in the game. Michael Jordan was good at defense and though he was a shooting guard, he also played as a point guard and a small forward. Jordan was also known for his slam-dunks. ➯Michael Jordan was named NBA MVP and five times and Most Valuable Player at finals six times, during his career. ➯Michael Jordan was named NBA Defensive Player of the Year (1987–88). ➯Michael Jordan was member of the "Dream Team" during U.S. Olympic Hall of Fame - class of 2009. ➯Michael Jordan has won Olympic medals two times, along with his team in the years 1984 and 1992. ➯Michael Jordan has won ESPY Award seven times. 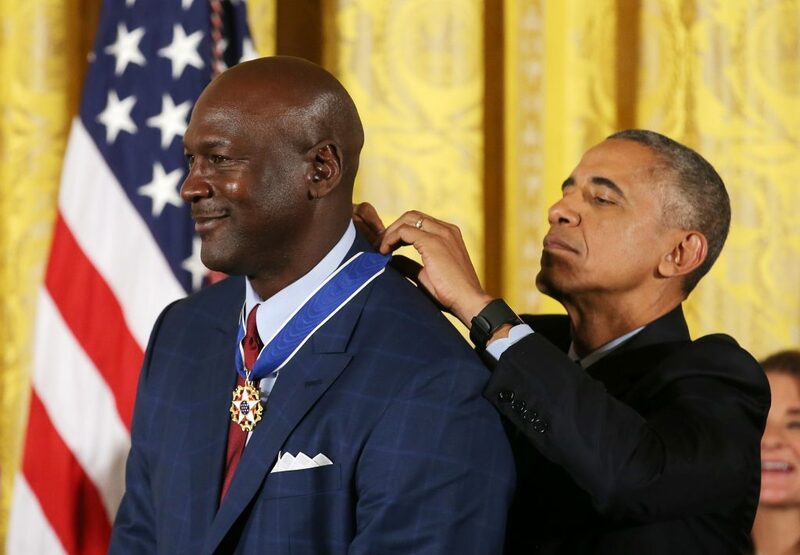 ➯Michael Jordan was awarded Presidential Medal of Freedom by then President Barack Obama in 2016. ➯Michael Jordan's Statue was erected in front of the United Center. ➯Michael Jordan is a former basketball and NBA player. ➯Michael Jordan was nicknamed Air Jordan for his slam-dunks. ➯Michael Jordan represented Chicago Bulls and Washington Wizards throughout his career. ➯Michael Jordan is the first billionaire NBA player. ➯Michael Jordan was born on February 17, 1963 in Brooklyn, New York. ➯Michael Jordan featured on cover of sports magazine 'Sports Illustrated' during the start of his career. ➯Michael Jordan scored an average of 31.2 points on 56% shooting and was named the Most Valuable Player at the finals of NBA 1990-91 season. ➯Michael Jordan's sons Jeffrey Michael and Marcus James, are basketball players. ➯"I can accept failure. Everyone fails at something. But I can't accept not trying". "I've missed over 9,000 shots in my career. And that is why I succeed". ➯"Enjoy every minute of life. Never second-guess life". ➯"Limits, like fears, are often just an illusion". ➯"If we all work together, we can foster greater understanding, positive change and create a more peaceful world for ourselves, our children, our families and our communities".